SonosSonos’ priced its IPO below the expected range. Sonos opened for trading at $US16 on Thursday, gaining more than 8%. It had priced its initial public offering at $US15, below the expected range of $US17 to $US19. Sonos’ IPO comes as the California-based company seeks to build market share in the voice assistant-enabled smart speaker market. Sonos shares opened for trading at $US16 apiece on Thursday, gaining more than 8% during the trading debut. The smart-speaker company had priced its initial public offering at $US15 a share on Thursday, below the expected range of $US17 to $US19. This gave the company a valuation of about $US1.5 billion. 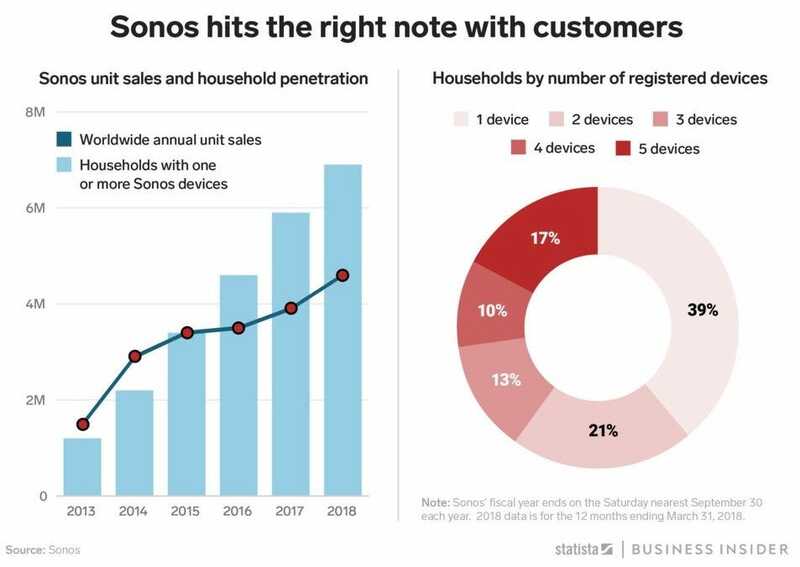 In its regulatory filing to go public, Sonos said its speakers were registered in 7 million homes, and its customers listened to 70 hours of content per month. Sonos’ IPO came as the California-based company sought to build market share in the voice assistant-enabled smart speaker market. 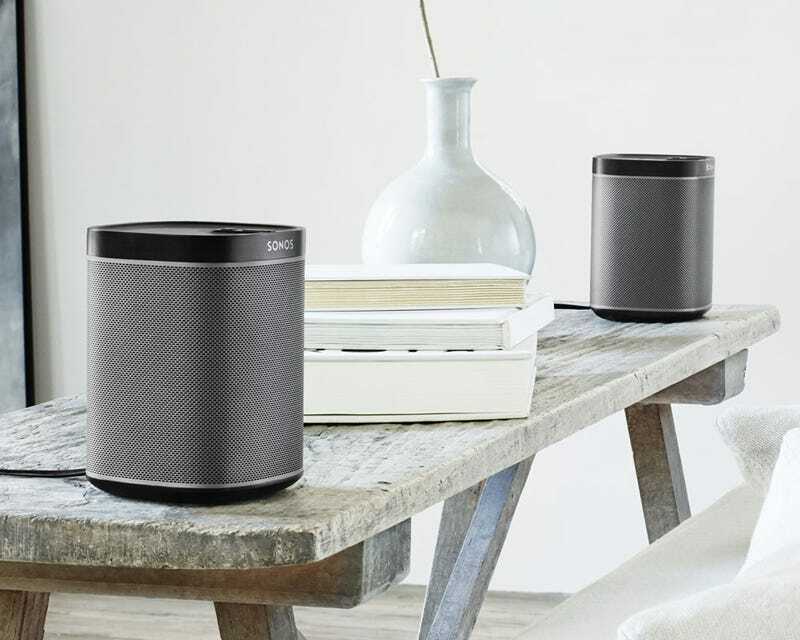 Sonos in the past year released two voice assistant-enabled speakers, the Sonos One and Sonos Beam, which support Amazon’s Alexa. Sonos said it intends to use the proceeds of its IPO to invest in marketing and development. The IPO came roughly four months after the direct listing of Spotify. The streaming service has recently filed dozens of patents for hardware devices and music-discovery software, setting it up as a potential competitor to Sonos. Sonos lost $US14.22 million – or $US0.50 per share – on revenue of $US992.53 million in the most recent fiscal year ending September 30, 2017, a filing showed. The firm qualifies as an “emerging growth company” because its revenue was less than $US1.07 billion, meaning that the Securities and Exchange Commission permitted it to make narrower disclosures about its finances. The company had $US39.7 million in debt as of March 31. Sonos is listed on the Nasdaq with the ticker SONO. Morgan Stanley, Goldman Sachs, and Allen & Company were the lead underwriters of the IPO.